The Holy Father has recently made statements about Medjugorje that have got people talking. Now, these negative statements by the Holy Father have another side to them, as he also made remarks about the possible legitimacy of the earliest messages there. It is also being speculated that the statement the Holy See will eventually release will allow for pilgrimages to Medjugorje as a place of prayer. We have yet to see if such an uncertain trumpet call will be issued, so we cannot comment on it here. This apologetic entails a facile reading of what Christ said about trees and fruits. Some considerations on the nature of the Church and the way sacraments work may help to clarify things. Every Catholic priest has the radical power by virtue of orders to consecrate wheat bread and grape wine in the Holy Mass. Further, every one of them also has the power to absolve sin in the sacrament of Penance. A priest’s ability to carry on these sacred functions is independent of his own merits as a Christian, even whether or not he is in the state of grace or is personally orthodox. As long as he uses valid form and matter (or “quasi-matter” in the case of Penance), and has at least the minimal intention of doing what the Catholic Church does in confecting this sacrament, the sacrament happens. In the case of Confession, the penitent must not have put up any obstacles to a valid absolution (e.g., deliberately holding back a mortal sin); but, as the “acts of the penitent” constitute the matter of this sacrament, that is already addressed when we said that valid form, matter and intention — along with a valid minister — make for a sacrament. A priest can be preaching heresy and living a bad life of habitual mortal sin (God forbid), but, for the sake of the souls who rely on his cura animarum, he can impart forgiveness and holiness to others. The axiom nemo dat quod non habet (“no man can give what he does not have”) has no application here because the priest acts in persona Christi. He is not imparting his own holiness to others: he is ministering the grace of God as an intermediary: “Let a man so account of us as of the ministers of Christ, and the dispensers of the mysteries of God” (1 Cor. 4:1). Sacraments work ex opere operato, meaning that they achieve their effect “from the work performed.” This is in contrast to the way personal prayer and devotion (including sacramentals) are vehicles of receiving grace, which is ex opere operantis, that is, “from the work of the performer,” i.e., the subjective devotion of the individual soul. So, just because a priest forgives sins and can validly offer Mass — good fruits indeed! — does not mean that he is a saint. And no orthodox priest would claim otherwise. Donatism was the heresy that held that orthodoxy and purity of life were requisite for the validity of a priest’s sacramental ministrations. This theological background on sacramental validity is necessary in the discussion here because, among the supposed good fruits of Medjugorje are the return of people to the sacraments. If those who resort there cooperate with the grace of making a good confession, they are forgiven their sins. This sort of thing happens in any shrine, parish church, or small chapel where one may find a priest. In fact, one need not be in a “holy place” to receive sacramental grace. I can think of at least two saints who reconciled prostitutes to God in their very brothels: Saint Louis de Montfort and Blessed Francis Xavier Seelos. I would venture a guess that they are not the only ones who have so done. And while devotees of Medjugorje would find the comparison odious, the fact that souls have been saved in a bordello does not permit us to frequent such places. Two friars, who were closely connected with the beginning of the Medjugorje phenomenon, were disciplined by the Church: Jozo Zovko (the pastor during the first months of the apparition, June-August 1981) was forbidden by his superiors to have any contact with Medjugorje; Tomislav Vlasic, who worked in Medjugorje from 1981-1988, was released from his priestly duties by the Holy See in 2008. The Congregation for the Doctrine of the Faith gave the reason, among other things, of offenses against the sixth commandment, exacerbated by alleged “mystical motivations”. The friar had in fact, at the direction of the “Gospa” and the seer Marija Pavlovic, conducted a “mystical marriage” with a lady from Germany in the framework of a mixed religious community. This unusual connection between personal tendencies and mysticism has a longer back-story: in 1976, and therefore before his involvement in Medjugorje, the friar impregnated a religious sister in a mixed “Franciscan community”, sent her with pious exhortations to Germany and denied his paternity. This case became known to Bishop Zanic and Cardinal Ratzinger in 1984. 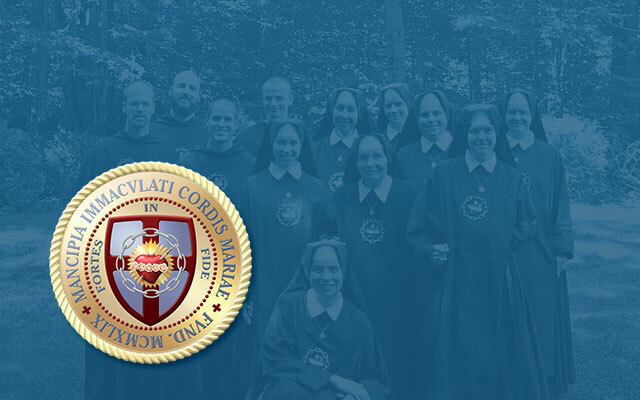 Vlasic himself brought the “word of wisdom” spoken to him at a charismatic conference in Rome (May 6, 1981) with him to Medjugorje: “Fear not, I will send you my Mother.” An Irish Charismatic woman [Sr. Briege McKenna, O.S.C. –RC] asserted that from Vlasic streams of living water would flow. The influence of such a figure on the beginning period of the Medjugorje phenomenon poses a great number of critical questions. Grave moral accusations are also placed against Zovko, the pastor in the early months, and long-time spiritual confidant of the group of seers (E.M. Jones, The Medjugorje Deception, 2001). Particularly in the early period of the phenomenon there were several very unusual messages. According to a tape-recording transcript from June 30, 1981, the seers reported, according to the assertion of the “Gospa”, the end of the appearances would be in three days (on July 3), but they then went on. At the sixth apparition (June 29, 1981), the “Gospa” announced the healing of a four-year-old boy, but it never happened. Furthermore, the “Gospa” informed them (May 25, 1984) that her two-thousandth birthday would fall on August 5, 1984. Would the real Mother of God propagate a birthday celebration for herself, that sets itself apart from the date of the liturgical feast (September 8)? Father Hauke also relates that on July 11 of 1988, “seer” Marija Pavlović admitted to telling a falsehood knowingly (that is, she lied) in the name of the Mother of God when she previously stated that the Blessed Virgin had given some sort of approval to the “mystical marriage” that Father Tomislav Vlasić had sacrilegiously contracted with a German woman named Agnes Heupel. According to Marija’s retraction, Father Tomislav had pressured her to do this. Contrast her behavior with the fortitude of the Fatima children who always told the truth about the apparitions, even though they were threatened with death by being boiled in oil if they kept doing so. Many more bad fruits of this false apparition are documented in the book by Dr. E. Michael Jones, linked below. Medjugorje came along at a time when there was a tremendous spiritual vacuum in the Church caused by the widespread jettisoning of the Church’s doctrine, traditional liturgy, pious devotional practices, and an authentic life of mysticism. This was manifest in the all-too-common banalization of the Holy Mass, the watering down of catechesis, the downplaying of the Mother of God and true devotion to Her, and the deemphasis of the authentically supernatural that was ushered in by the Modernist embrace of naturalism and rationalism. Other false movements came around to fill this vacuum, including the charismatic movement, Focolare, the Neocatechumenal Way. At the same time, Medjugorje offered a Marian devotion that was as inoffensively ecumenical as possible. The Devil is a strategist who transforms himself into an angel of light (2 Cor. 11:14). In an effort to deceive, he must insert his poison amid some apparently good fruits. In fact, he does not mind if some real good fruits happen indirectly through his activity (God can and does work good out of evil! ); as long as Satan can have people believing his lies (e.g., the indifferentism promoted at Medjugorje), he achieves his purposes.